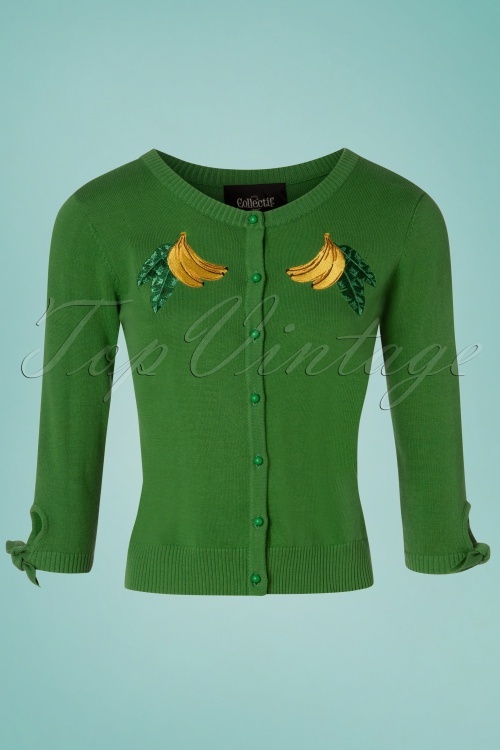 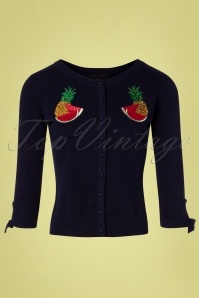 We totally go bananas for this 50s Sally Banana Cardigan in Green! 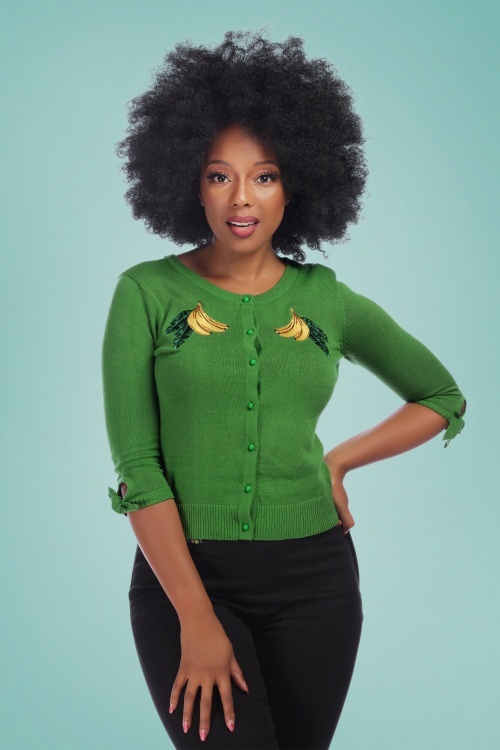 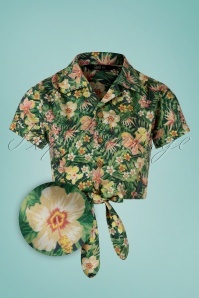 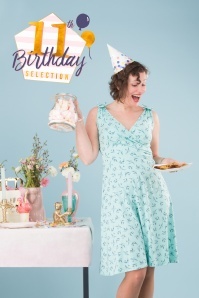 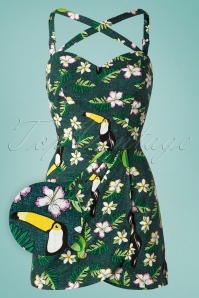 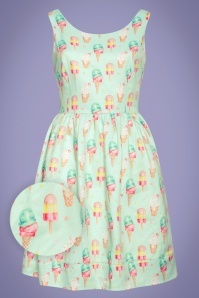 From her beautiful grass green colour and dome buttons down to the fruity banana appliqué and 3/4 sleeves with playful tie cuffs... Sally is tropical sweet! 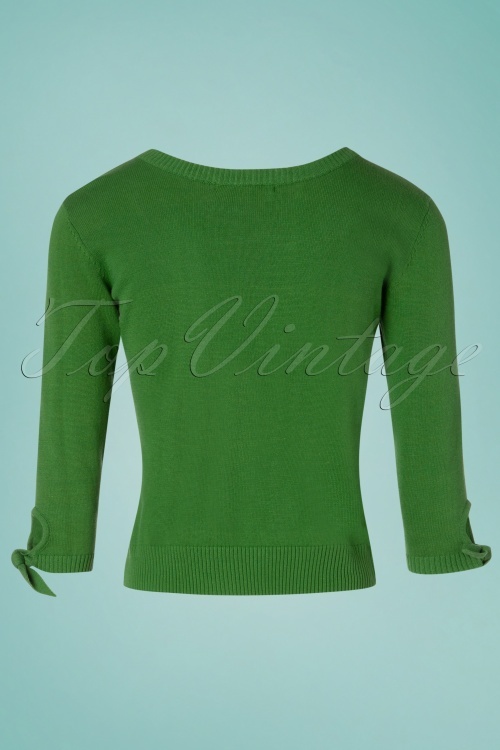 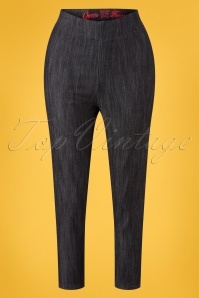 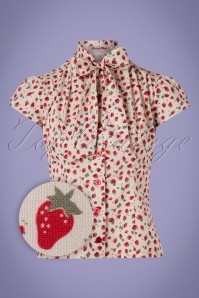 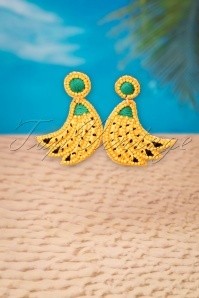 She is also a joy to wear thanks to the supple and stretchy, fine knit cotton. 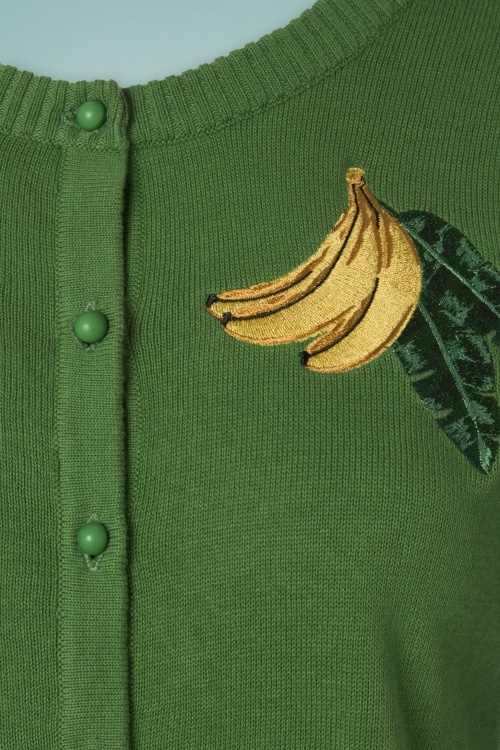 We think Sally is really a-PEEL-ing!